Welcome, thank you for visiting our website. We offer high quality service, advice and products. We can advise on a wide range of products and services from TV and Satellite reception, High Definition TV, Hi-Fi and Audio Visual Installations, CCTV, Induction Loop System and much more, for both domestic and commercial customers. We offer quality service, maintenance and advice. We do not claim to be the cheapest, we believe you get best by using the best products and experts, building relationships with customers, suppliers, local tradesmen and the local community. With over 30 years experience in the AV industry, we have a wide knowledge base. We are a Horsham based company, covering Sussex, Surrey and the South East area. We are committed to using the latest technology and working to the highest technical specification and industry standards. 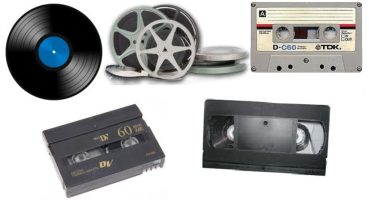 We specialise in recovering treasured, obsolete recordings on film, disc or tape to newer digital formats or digital files. Many rolls of film, video tapes or discs, contain treasured memories than can be lost forever with many formats becoming obsolete over time. Video & Audio Tape is susceptible to mould, flaking or just old age. Cine Films lay in lofts gathering dust, with many memories that should be treasured, enjoyed & passed to future generations. We offer a bespoke service, taking care of your precious recordings. Using a combination of the latest technology & an unrivalled collection of vintage playback equipment, all lovingly restored & maintained in house, we capture as much as possible of the original recordings. Visit our SERVICES page for a list of formats or give us call with your specific requirements & to discover how we can help save your treasured memories.